Apple (AAPL) has been one of the most innovative companies in the world. Its iPod and iTunes changed the way we listen to music. The iPhone made phones incredibly useful for things other than basic calling and texting. And the iPad pulled off the incredible feat of making mobile computing both cool and ultra-portable. Not only has it revolutionized many parts of our daily lives, it has done so while generally charging premium prices for the products it sells. Darn near every other company on the planet would love to have its track record. Still, in spite of Apple's incredible run, its shares have been faring rather badly lately. So what's with its stock? 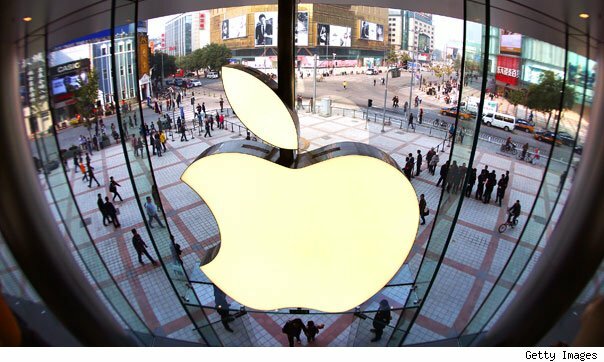 Since reaching a high-water mark of $705.07 last September, Apples shares have shed about 36 percent of their value, falling to $450.81 as of last Friday's close. That's a sharp retreat from the days when it held the title of "Most Valuable Company in History." The key issue with Apple's stock today isn't the company's history or reputation -- it's the future. As Walter Isaacson pointed out in his biography Steve Jobs, the company owes much of its success to the creative genius and exacting standards of Jobs, its founder and longtime CEO. And unfortunately, Jobs is no longer with us. His death, of course, is old news. But what's is relatively new is that the products in Apple's pipeline are infused with far less of Jobs' direct creative genius. And that has investors worried, especially as the company has recently missed expectations. At today's market price, Apple is trading as if it has plateaued -- with few prospects for future growth. Bet on the Jockey or the Horse? Apple's dependency on Jobs for its creative spark made its stock something of a "jockey play" for investors -- a company that was worth owning because of who was leading it. Jockey plays can make fine investments, but as shareholders in the Jobs-less Apple are finding out, the market can be unforgiving when that jockey is no longer holding the corporate reins. Given its strong, debt-free balance sheet with around $40 billion in cash on hand, solid suite of current products, and a still reasonable pipeline, Apple is not in any real risk of going belly-up anytime soon. But the legitimate question investors are asking is whether the company has what it takes to continue to wow consumers again with more must-have products like the ones that fueled its ascent. As Isaacson pointed out in his biography, bringing that creative genius to life in products was tough enough for a passionate founder/CEO like Jobs. Without his special magic, it may well be impossible. Apple certainly isn't dying, but the market is now valuing it like a maturing, virtually-no-growth company -- which it may well be becoming. Apple's situation is hardly unique. Mortgage REIT Annaly Capital (NLY) also recently lost founder and CEO Michael Farrell after his battle with cancer. In many ways, Farrell's financial genius mirrored Jobs' creative genius. Farrell, after all, managed to successfully steer his company through the recent financial meltdown, which included some of the choppiest financial waters in generations. Like Apple, Annaly has seen its share price drop a bit in recent months. In Annaly's case, the concern is partially whether its new leadership will be able to steer it as successfully through the next crisis as Farrell did through the last one. The price drop is also partially due to the fact that ever since the Federal Reserve started aggressively buying mortgage bonds, Annaly must now face the Fed as a competitor. Either way, the loss of a founding genius has negatively affected both these companies in the eyes of investors. Which brings us to what many perceive as perhaps the biggest current jockey play around: Berkshire Hathaway (BRK.A) (BRK.B). Warren Buffett has led the company for decades, and many people see Berkshire Hathaway's success as an extension of the iconic investor's investing genius. There is a difference between Berkshire and those other jockey plays, though. Buffett's genius is his ability to find undervalued companies with solid leadership and add them to Berkshire's portfolio. Buffett also generally keeps the leadership of those acquired companies intact, letting them keep doing what they did to become successful in the first place. That style difference means that when octogenarian Buffett hands over Berkshire's reins, the next jockey won't need to be a financial genius of Buffett's caliber in order for Berkshire to succeed. As an investor, it's clearly important to look for great corporate leaders: The best jockeys have the ability to reward their investors incredibly well. Still, you never know when a jockey will be replaced. So as you consider where to put your money, make sure that you consider what that company would look like after its current leader is gone. It may lead you down a completely different path. It's always important to assure the companies you own are built to last when their jockeys change. In a sea of mismanaged and dangerous peers, there's one bank that stands out as The Only Big Bank Built to Last. You can uncover the top pick that Warren Buffett loves in The Motley Fool's new report. Motley Fool contributing writer Chuck Saletta owns shares of Annaly Capital Management. The Motley Fool recommends Apple and Berkshire Hathaway. The Motley Fool owns shares of Annaly Capital Management, Apple, and Berkshire Hathaway.